We were founded by Eli Lilly in 1876, and are now the 10th largest pharmaceutical company in the world. We have steadfastly remained independent, but not isolated. 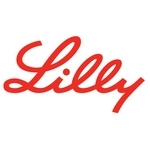 Across the globe, Lilly has developed productive alliances and partnerships that advance our capacity to develop innovative medicines at lower costs.